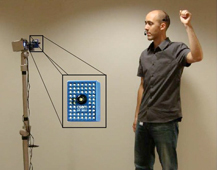 Results will be presented at the Human-Robot Interaction Conference (March 11-13, 2009), in San Diego. So far, that autonomous, do-it-all robot is the stuff of science fiction or cartoons like “The Jetsons.” But a Brown University-led robotics team has made an important advance: The group has demonstrated how a robot can follow nonverbal commands from a person in a variety of environments — indoors as well as outside — all without having to adjust for variations in lighting. 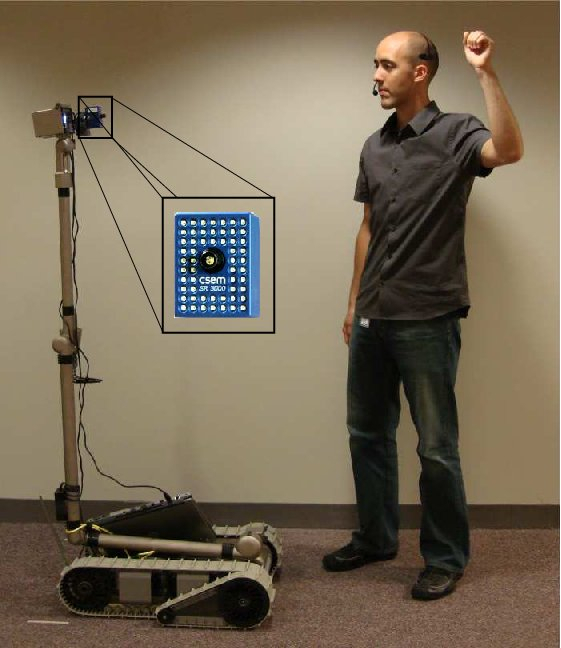 “We have created a novel system where the robot will follow you at a precise distance, where you don’t need to wear special clothing, you don’t need to be in a special environment, and you don’t need to look backward to track it,” said Chad Jenkins, assistant professor of computer science at Brown University and the team’s leader.